Yeo Valley yogurt, ice cream, cream and desserts business will continue to be run independently through Yeo Valley Group, which remains under the ownership of the Mead family. 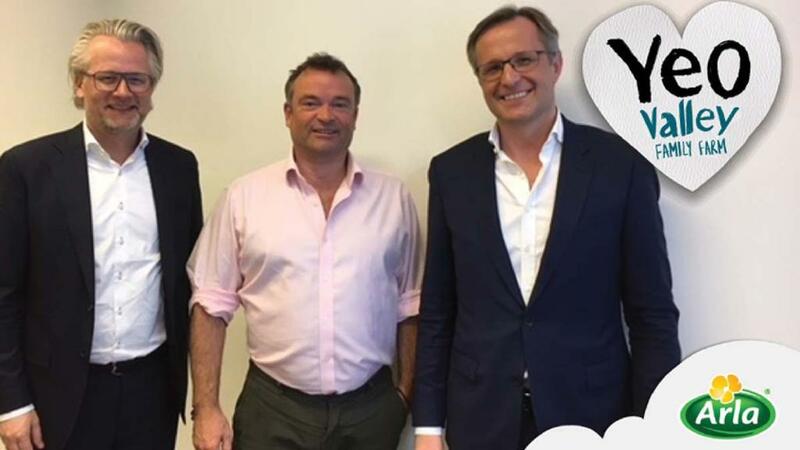 Tomas Pietrangeli, Managing Director, Arla Foods Limited said: "The potential for future investment in range through this licensing agreement with Yeo Valley provides a significant opportunity to offer a greater choice to consumers at attractive prices. He highlighted the opportunities in the organic sector, with one in four households now purchasing organic products. "Arla Organic Free Range milk has driven 60 per cent of all the growth within the organic milk category in the last 12 months, with 70 per cent of all Arla Organic Free Range milk sales attributable to customers who would have not previously purchased organic milk," he added. Tim Mead added: "Arla’s farmer-owned credentials are aligned to the values and ethos that the Yeo Valley brand is based on – supporting British family farms. "We have a long-held ambition to grow organic dairy in the UK, because at Yeo Valley, we believe that organic dairy is better for the planet, for the cows and for health."